Welcome home to Copper Creek Manor, a distinctive new home community by award-winning Payne Family Homes. This intimate, single cul de sac neighborhood has 17 luxury home-sites scattered w/mature trees & beautiful private settings. Choose from innovative plans designed for todays buyers with fewer walls, impressive sight lines, abundant natural light, hi-functioning spaces & outstanding quality. 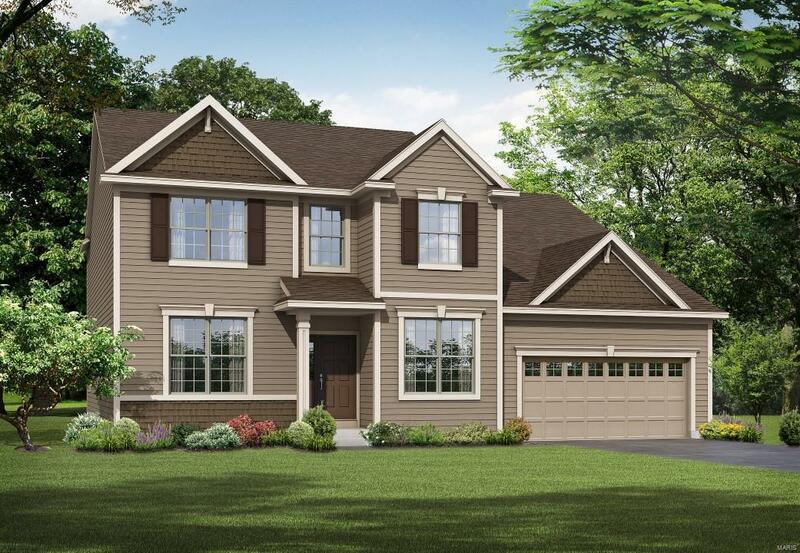 The Montego II is a 4 BD (plus a loft), 2.5 bath, 1.5 story w/3,090 s/f of living space. Standards inc a 3 CAR GARAGE (3rd car tandem), 9 clngs, 36 cabinets, island, W/I pantry, Frigidaire appl, frml DR, MAIN FLOOR MASTER, dbl bowl sink in the Mstr Bath, 6 marble shower w/seat, HUGE Mstr closet, W/I closets in every bdr, Jeld-Wen Low E windows, 50 gal water htr, R 38 ceiling insulation, zoned HVAC system, full yard sod & prof landscape. Copper Creek Manor has a quiet country feel yet is conveniently located near shopping, restaurants, schools, recreation & easy access to Hwys 70 & 40/61.